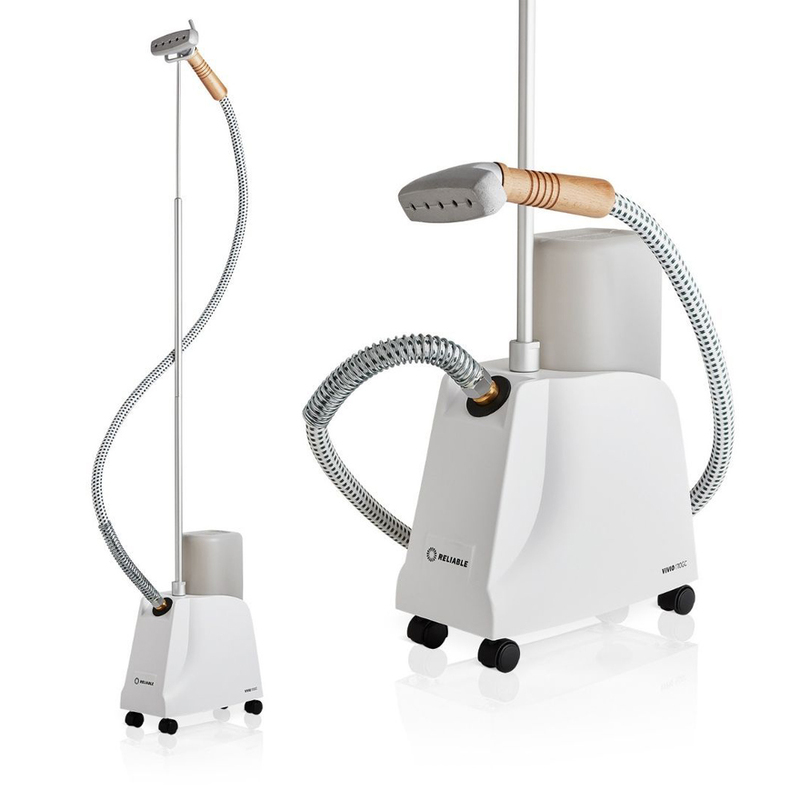 The Reliable Vivio 100GC Professional Garment Steamer features a heavier - long life PVC steam head. A wrap-a-round body so the bottle won`t fall out. The Vivio 100GC Professional Steamer can be used on all types of clothing, drapery and furnishings. A stay cool handle and wheels for easy moving with heavy duty brass fittings. Steam temperature 203º F. 1 gallon water capacity. 1300 Watts. 3 year limited manufacture`s warranty.